Are the frozen waffles and Raisin Bran getting a little old with your family (they are with mine), here are 10 grab-and-go healthy breakfasts. 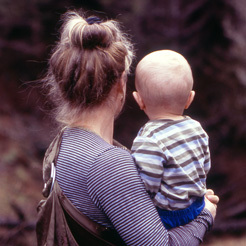 The lost art of lashing is a must read if you have an adventurous kiddo at home. Not being a Boy Scout, I had no idea what lashing even was but one look at the photos and I was hooked. Check out these gourmet yogurt pops, the ultimate in healthy warm weather snacking. Earth Day is this Sunday, why not celebrate by growing an indoor field? 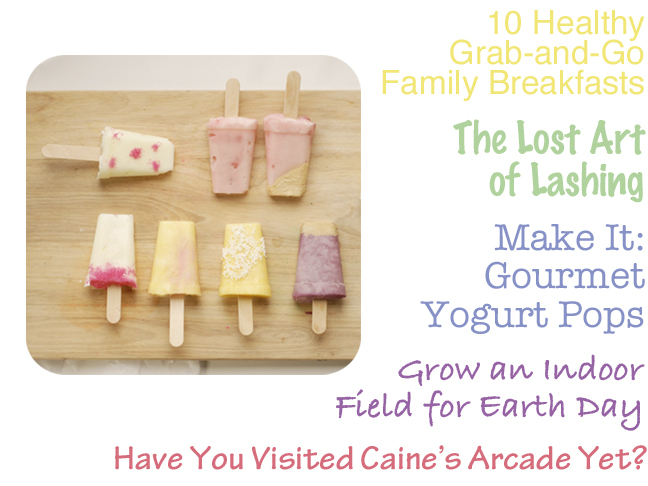 Finally, have you heard about Caine’s arcade yet? If only all of our children were this industrious and creative!